Rich biodiversity, economic potential, critical environment for life balance and for the planet climate. 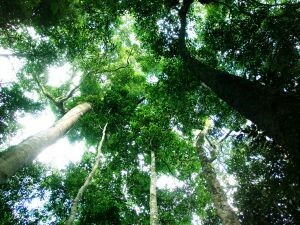 Brazilian forests are internationally acknowledged by their importance. However, CO2 emissions due to degradation of that environment have been gaining more space in the newspapers worldwide. Ensuring the integrity of the forests means to preserve the environmental services upon which all economic activities and the society depend. Including climate stability. The Brazilian Companies for the Climate (EPC) Platform has among its lines of action thematic round tables on forests in the context of low-carbon economy. The plan is to gather EPC experts and participants to debate paths to incorporate activities involving forests in the context of the new economy - like the adoption of mechanisms such as REDD (Reduction of Emissions from Deforestation and Degradation) - as well as to collect data for studies and policy papers.